Celebrating all classes ending in 3 or 8 and the class of 2016! COMING SOON – Reunion 2019! Save the date May 31 – June 2, 2019. Brooke Ann Morrow ’78: Brooke is one of seven principal owners of New South Capital Management, a company her brother founded in 1985 and which she joined in 1987. 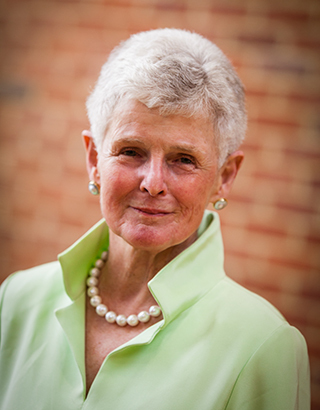 Brooke is an Emeritus Trustee of Hollins, a Hollins Medal recipient, and served on the Women Who Are Going Places capital campaign cabinet from 2003-2010. She is a member of the Ambassadors Circle, has hosted Hollins events in Memphis, and was a member of the Alumnae Web Task Force. Brooke has received the Levavi Oculos Award. 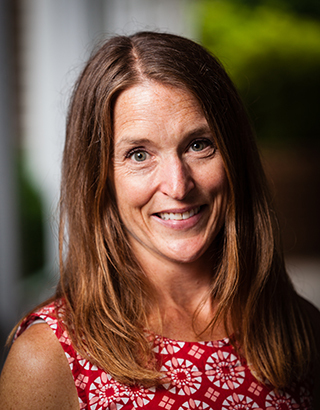 As an exemplary volunteer and as an often heralded non-profit management professional, Cameron Vowell has had a lasting and highly inspirational impact on her city, Birmingham, and her state, Alabama. Cameron’s volunteer service to Hollins has also been commendable. She served on the Board of Trustees (2004-2012), has hosted alumnae/alumni events in Birmingham, and was a class fund chair for twelve years. Nicole is the founder of Empower Dance Studio. She has dedicated her life to teaching and mentoring children and teenagers. She currently serves on the board of directors at North Carolina Arts in Action and the Carolina Theater of Durham. In 2014 she was named Spectacular Magazine’s Woman of the Year in the category of Emerging Leader. in 2016 The Durham Business and Professional Chain presented her with the New Business Award. Judy joined the Board of Trustees in 2010 and was elected chair in 2015. 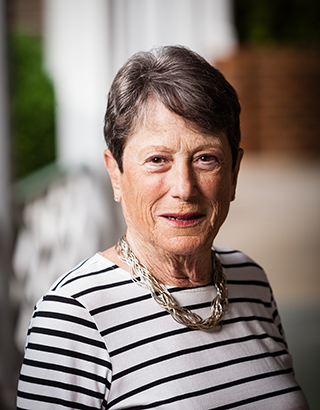 Her four-year tenure as chair of the Board of Trustees included a wildly successful presidential search, a major fundraising campaign, a year-long celebration of Hollins’ 175th anniversary, and President Lawrence’s inauguration. 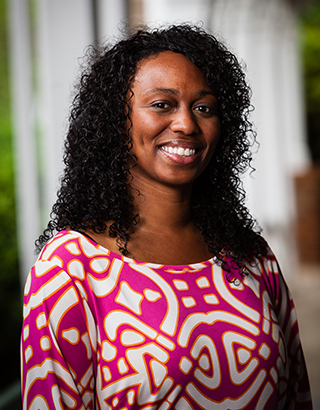 She has served as reunion gift chair, referred prospective students, volunteered with the career center, hosted students in her workplace, and sponsored Hollins events in North Carolina. Since graduating, she has been active in a number of young professional organizations and has loved staying engaged with Hollins. She has served as class fund chair, reunion gift chair, she is the first Miss Matty’s Circle Chair, and most recently she has become the youngest member of the Heritage Society. After completing eight internships as a student she has found her passion as an alumna in helping students at Hollins lead lives of consequence through her involvement with Hollins career development center. She has served on the New York City J-Term planning committee, arranged internships, and participated in Super Saturday. 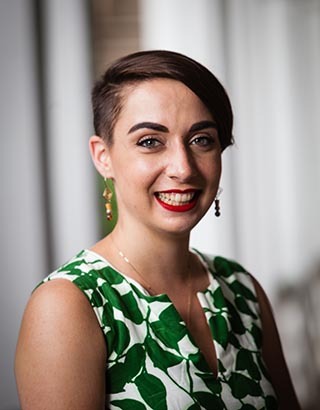 She has served as a Hollins mentor and has twice volunteered her time to participate in the Career Connection Conference. Cathy graduated from Hollins with an English degree. While at Hollins, she was not only a part of the Hollins tennis team but also the SGA treasurer, vice-president, and president in her four years. She was also a member of ADA and the Hollins Columns. Before her time at Hollins, Cathy was introduced to sports at an early age being born into an athletic family. Her parents golfed while she picked up tennis and she carried both throughout her life and schooling. After Hollins, she taught high school English before deciding to become a full-time mother. Cathy picked up playing tennis again once her two sons were in school. She started at the C level in the Richmond Suburban Tennis League and worked her way up to the championship level. After her success in tennis, she moved to golf which was easier on her knees and for spending time with family. She has been a member of the Richmond Women’s Golf Association since 2001 and has competed in many of the events. 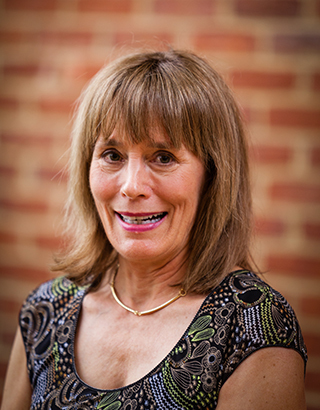 She has also served on many boards such as the United Way of Greater Richmond, the Massey Cancer Center, and the Richmond Jewish Foundation just to name a few. Now Cathy is living in Richmond, Virginia. She is currently co-chairing the Class of ‘68 Fiftieth Reunion with Louisa Condon Barrett, playing some golf, and enjoying her family. She has her two sons, Daughter-in-law, and twin granddaughters to spend time with and take joy in. 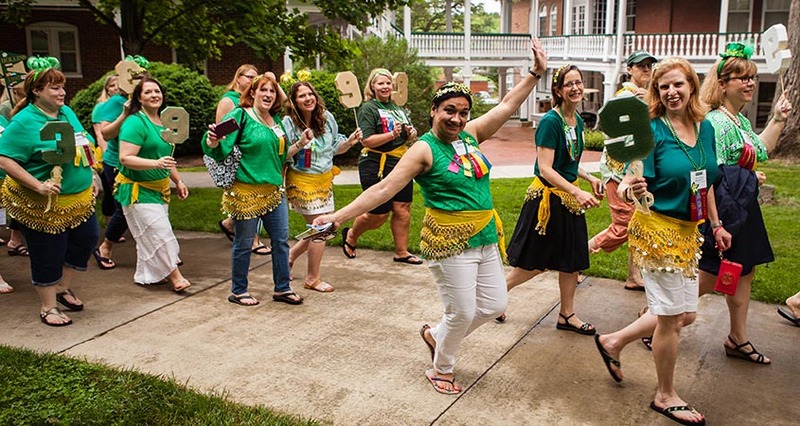 Reunion is the time when alumnae honor the anniversary of earning their degree, their classmates, and their alma mater by making a special reunion gift. Alumnae volunteers fundraise among their classmates to raise the largest gift and encourage the highest class participation. Alumnae participation in giving is a factor in grant applications and college rankings, as well as class and school spirit. For the class among the ten most recent classes with the highest Hollins Fund participation. For the class with the highest participation in giving to Hollins Fund. For the class with the largest total gift to the Hollins Fund. For the class with the highest total giving to Hollins for all purposes.